You save 50% that's £100.00! 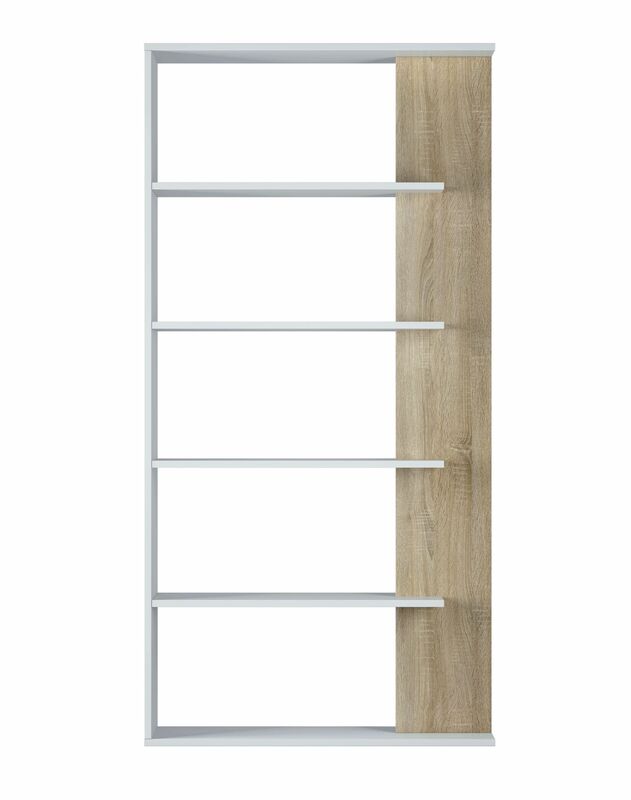 Width 90cm, Height 180cm, Depth 25cm. 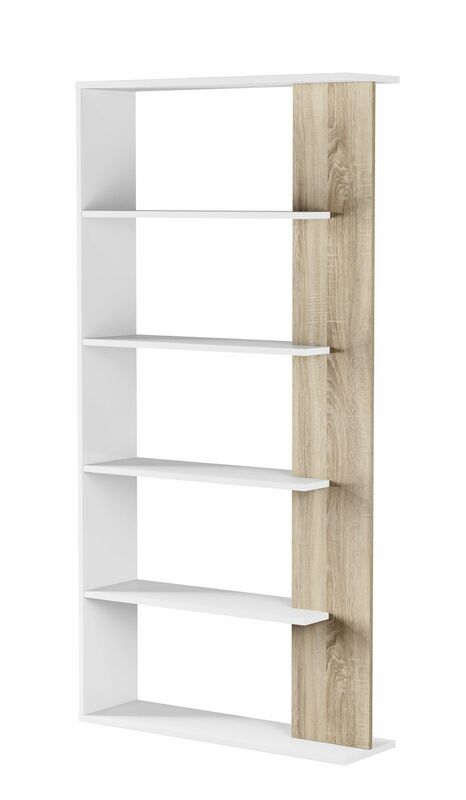 A modern open back bookcase in artik white and modern oak effect. 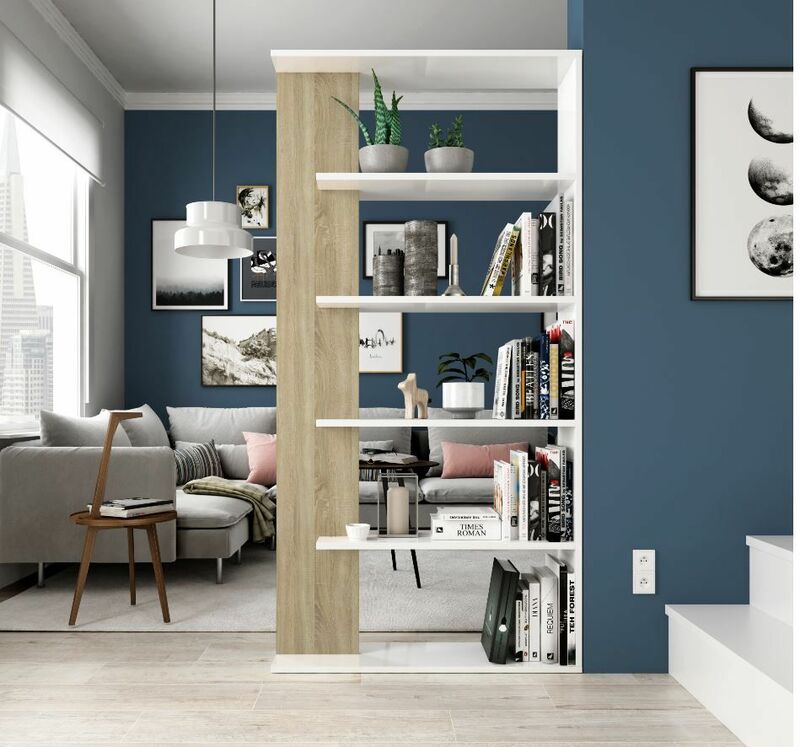 This room divider features 5 spacious shelves perfect to store your books, ornaments, photo frames and many other items. 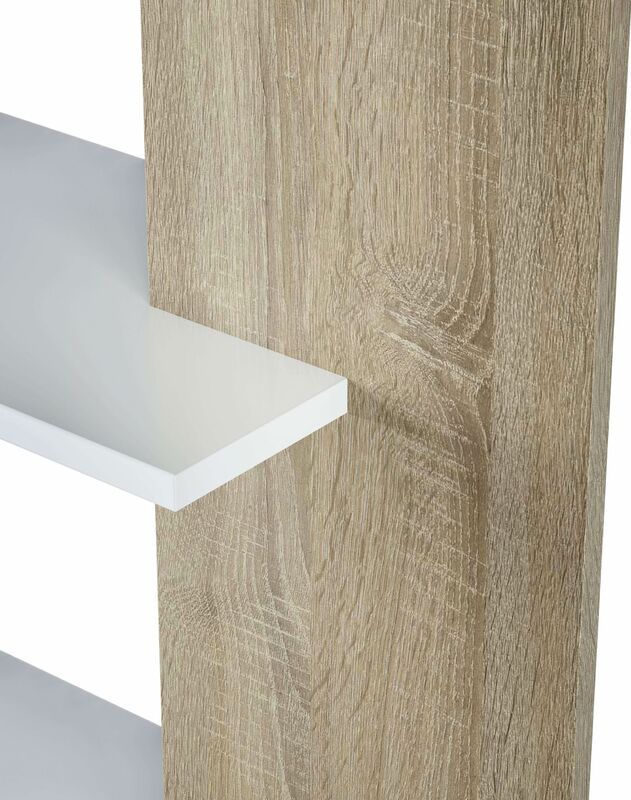 Ideal to use in any room within the home or office.